Let's face it - when it comes to cloud backup, you've got lots and lots of choices. So why IDrive? When we launched IDrive in 2007, our goal was to make IDrive the best solution for protecting your critical data on EVERY internet enabled device. Whether you are a consumer or a small business, we want IDrive to be the most cost effective, secure and easy solution to backup your data to the cloud. 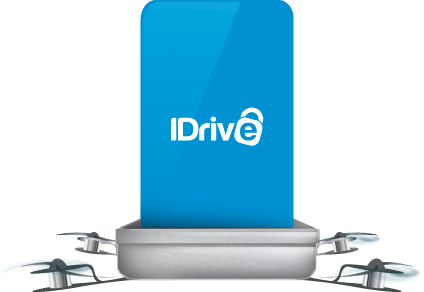 IDrive plans start at $6.95 a month for 2 TB of storage for backup​, storage that can be used to backup ALL your devices into ONE account. Cyber threats like ransomware and crypto viruses are becoming increasingly sophisticated. Encryption enabled ransomware, for instance, uses a malicious software to encrypt files locking users out of their own data. Affected users are presented with two options: either pay ransom or lose their data forever. Even after paying ransom there's no guarantee of successful data recovery. With IDrive Snapshots, make sure that you can restore versions of the backed up files, to a time prior to infection. Snapshots are historical view of your data, stored in IDrive account which allows you to perform point-in-time recovery. 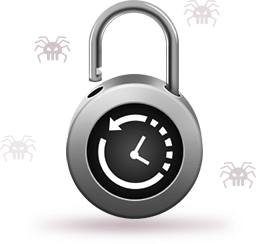 In case your files are attacked by ransomware, you can restore your data by selecting a timeline before the attack. As IDrive is cross-platform compatible you can ensure all your PCs and Macs are backed up and protected against these threats. The additional storage requirements for Snapshots has no impact on your account storage space. So if you've got only one computer, should you use another service? After all, many offer 'unlimited' storage. But there is one little secret: backing up to the cloud is slow. Painfully slow. Most users who pay for these 'unlimited' backup per computer spend weeks, even months to backup just a fraction of their data! You don't need to clog your bandwidth for weeks, ​or even months, while you wait for your data to upload for the first time. ​We will ship you a hard drive, to seed the initial backup of all your data. No other service offers the express uploading service at the speed and cost we offer. Just in case the drive is lost in shipment, no one can see the data in it, because it is all encrypted with military grade encryption. ​​Say you have​ an office with about​ 20 computers. Your accounting team uses Windows, ​your designers are on Macs, your Sales team has some laptops and tablets, and your IT has a local Linux server as well.​ And of course, everyone's got their favorite brand of smartphone. Many cloud backup services either​ can't accommodate your needs, especially mobile and Linux, and often have per computer license fee model. You can use the Dashboard, a centralized web console, to create unlimited user accounts within your storage space and organize them into different groups. You can also propagate backup and restore settings across all users and groups. IDrive has the best solution for securing all of your business data with flexible storage, security, speed and privacy options. ​​If you've a business, you might be using a NAS device. IDrive has you covered too. IDrive does NAS backup better than anyone else. You can backup data on any mapped drives and typically you can map your NAS device as a mapped drive. For some NAS devices, we are actually part of their App stores. We provide native apps ​for several NAS devices ​to make setting up your backups​ even easier. IDrive BMR offers a cost-effective, bare-metal restore functionality with onsite disk image backup, snapshots, VMware backup, cloud replication and virtualization. You can store entire hard disks including OS and application configurations in an onsite server and retrieve them during a technical breakdown. IDrive BMR also supports agentless backup of your physical and virtual machines running on ESXi and vCenter. You can transfer / schedule backups stored on the BMR server to the cloud easily. Additionally, manage backups and view statistics via the centralized web console. You may have heard about Sync before, but what does ​it have to do with cloud backup? ​As people become more accustomed to having data at our fingertips, our users have a need to access their data ​locally, with file changes being automatically pushed to many other devices.​ Say you start working on a document (like, a Top Ten Feature list, for example) at home, but want to continue it at work. Rather than saving the document and e-mailing it to yourself, Sync lets you drop it in a folder, and have that file automatically sent to as many devices as you need. Other computers, laptops, even tablets will have access to the file instantly. Sync provides the best of both worlds​ -​ Speed of local access, security and anywhere access of cloud. ​Every IDrive account comes with free sync space equal to the size of their backup space, essentially doubling the total storage your account has. Give it a try, it may change the way you think about data forever. ​We are all connected these days via laptops, smartphones, etc. IDrive makes it further easy for you to share your ​files with friends, family,​ and​ coworkers​ for collaborative access. S​o have we done it? Do we have the best backup product for individuals, families, and small business? We think so. But we know we can do even better. This is what drives us every day​ -​​​ we're always striving to make IDrive an even better way to protect your digital life, and once you give us a try, you'll see why I'm proud of our team, and the service we've built for you.